The ideal vacation, the one that will bring you joy and relaxation, should start with a hotel that puts your needs first. We dream about making your experience unforgettable. Experience the combination of five-star service, accommodating amenities, and friendly service. Econo Lodge is an ideal location, close to the Gatlinburg Aerial Tramway and the Great Smoky Mountains National Park. Econo Lodge wants to help you enjoy your vacation during your stay. We live to delight our guests, whether that means going to extra mile for your happiness or offering accommodating amenities. We offer many amenities like a seasonal outdoor pool, free parking, continental breakfast, WiFi, and a fax machine. Get ready to settle in your cozy room for the night. Each of our valued guests have access to essential amenities that will help you feel at home. In-room amenities include refrigerators, microwaves, hair dryers, coffee makers, ironing boards, along with free premium movie channels and more. Plus, select rooms come with kitchenettes and living rooms. 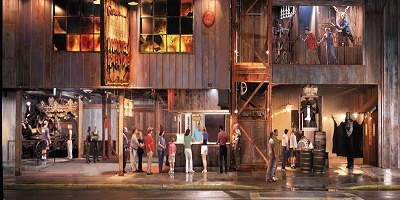 Gatlinburg bring's the southern-style fare, ethnic cuisines and everything in- between. Go hearty, go lean, upscale or relaxed. It's all here. Satisfy your appetite with these delicious choices. No Way Jose's Cantina, Alamo Steakhouse, Slice Pizza Bakery, Tom & Earl's Back Alley Grill, Howard's Steakhouse, and Bubba Gump Shrimp Co.
Shopping is an art, and you are an artist. Need a new outfit or two? Gatlinburg's seven malls offer all the shopping you'll ever need during your visit to the Smokies. Gatlinburg Aerial Tramway Mall, Mountain Mall, The Village, Baskins Square Mall, The Trentham Place, and Marketplace offers shops with a unique theme. You were born to shop, so let's get started! 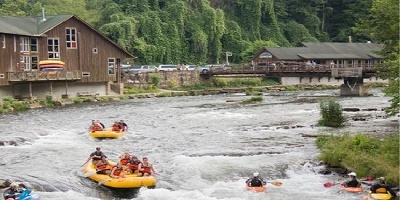 If you are looking to enjoy the outdoors, Gatlinburg, Tennessee is a nature lover's paradise. From bicycling to bird watching, from camping to fishing, and hiking to horseback riding, the great outdoors will fall right into your lap. The Great Smoky Mountains National Park is all about experiencing outdoor adventure. This park is home to over 800 miles of beautiful trails to explore. Choose your destination and get ready to explore. Everyone loves coming to Gatlinburg for the beautiful views of the Smoky Mountains, but there are also world-class shows. Your trip to Gatlinburg isn't complete without experiencing an unforgettable evening at one of our incredible live shows. The Sweet Fanny Adams Theatre is the best venue in town to catch musical comedy shows. Dolly Parton's Stampede, Country Tonite Show and Murder Mystery Dinner Show are some of the towns favorite live entertainment. After seeing a show, you're guaranteed to have a blast when you visit the downtown area after dark. You can eat at a restaurant with live music, show off your dance moves at Club 812 at Blaine's Grill & Bar or go take in some scenic views at the Gatlinburg Scenic Overlook. 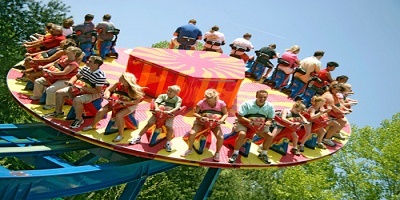 Dollywood is a theme park jointly owned by entertainer Dolly Parton and Herschend Family Entertainment. It is located in the Knoxville-Smoky Mountains metroplex in Pigeon Forge, Tennessee. Hosting over 3 million guests in a typical season Presidents' Day to the Christmas holidays Dollywood is the biggest "ticketed" tourist attraction in Tennessee. It starts with the space. There's more than 148,000 square feet of flexible meeting space. 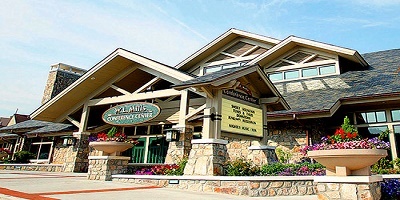 Additionally, the Convention Center is within walking distance to the attractions, restaurants and lodgings in downtown Gatlinburg.The Gatlinburg Convention Center has played host to a wide-range of functions such as product trade shows, dance and cheerleading competitions, religious conferences, corporate functions and association meetings. Whether your gathering is for 60 or 6,000, we will work with you to accommodate your needs and help you host an exceptional event. Ripley's Haunted Adventure are attractions owned by Ripley Entertainment, known for its Ripley's Believe It or Not! franchise and located along commercial strips and mostly in resort cities. All but one location is in the United States (one in Thailand).The attraction is based on tradition of haunted houses with animation and live actors.The first haunted house opened in Gatlinburg in 1999. We stayed for a week. The room was clean, the staff was friendly and helpful. We swam in the pool everyday. The location is great. Good value for your money. I would recommend it to anyone that wants a clean, affordable place to stay. Great Place, Great Price, Great Service! Nicole and Tanner were knowledgeable and so helpful, our room was cozy, and the location is on the river and across from several restaurants...really nice. I'll be back! My family and I traveled to Tennessee for a family vacation in June. We have not visited Tennessee in 7 years. We wanted to stay within walking distance of Gatlinburg's attractions. We found this wonderful hotel, and booked our stay. We were not disappointed. Excellent location, excellent staff, clean and comfortable rooms, and a delicious breakfast! Thanks so much to the Econo Lodge for helping make our vacation perfect. We are looking forward to coming back. our rooms here were clean with no issues. We had an upgrade so we both had balconies facing the stream. It was very enjoyable with fairly big rooms. A great stay. This was our 2nd hotel on this trip for the same price. This one offers rooms on the river, which is always nice. It is a great location, can walk to anything. It is at the end by Ober so to go to the Aquarium, it is a walk but great exercise if you are able. The staff was super friendly! The bed was very comfortable.The breakfast was GOOD! Each item was individually wrapped, so nice! And fresh tasting, the danish were yummy and soft! My son was excited about the flavored cream cheese also offered. The strawberry infused water was delicious! We would definitely stay here again!! Good place for the price! Nice rooms with river views. Convenient location, walk to town was good!Clean rooms and housekeeping was good! we stayed 5 days and it was nice. Our kids enjoyed the pool. We loved our stay at the Econo Lodge and Suites by the River. The staff was so nice and the rooms were clean. We were so close to everything. Thanks again for making our vacation great. Definitely coming back next year. Close to the strip in Gatlinburg. We could walk to several places. Close to the park. Clean rooms. Frat service. There's a bbq place and a great pizza place close by.The door stuck a little. It's a great value for the price.